It looks like the production version the Q8 (top pic) will stay pretty close to last year's concept. Not surprises here, since that "concept' was just the already designed production car with a few "wilder" bits added. The exterior design was just what to expect from Audi, which is a larger version of the A4 wagon. 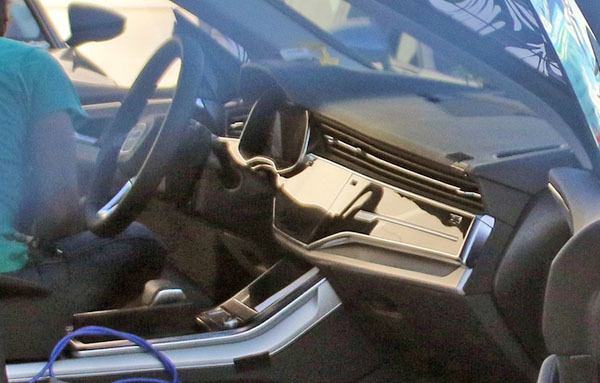 More pictures of the 2018 Audi Q8 prototype HERE. 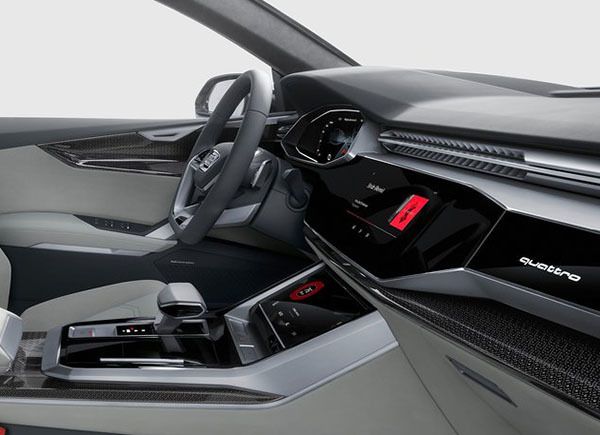 Personally I think that huge shiny black plastic piece that etxends both sides of the actual screen looks cheap, both here and in the A8. The "satin effect" alloy/silver plastic is just as garish in this quantity as it is in a Genesis/Hyundai. The glare off that dash will be horrific. No thanks.